For PassPort, log files are in the same logs folder, with one file for each server in the cluster. All log files are named with the hostname. For B2Bi, you have to gather log files across both trees, as well as keep configuration files in synch across trees. When you install PassPort and B2Bi on the same machine it reduces hardware requirements, but it creates an issue when the PassPort server becomes unresponsive: B2Bi does not automatically fail over to the other PassPort. Fail over can be enabled by manually modifying the Interchange database to point to the alternate PassPort IP. But typically, this configuration protects only against an entire server, or the B2Bi node being down. 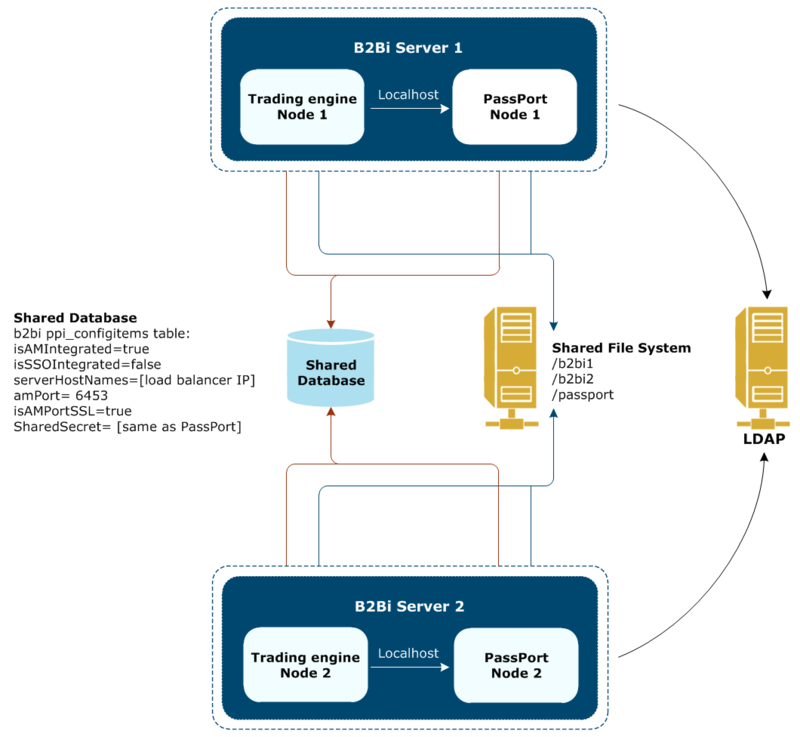 Because PassPort configuration is stored in a central database table, it must be the same on each B2Bi node. Thus we have to use “localhost” to tell B2Bi node 1 to point to PassPort node 1, and B2Bi node 2 to point to PassPort node 2. 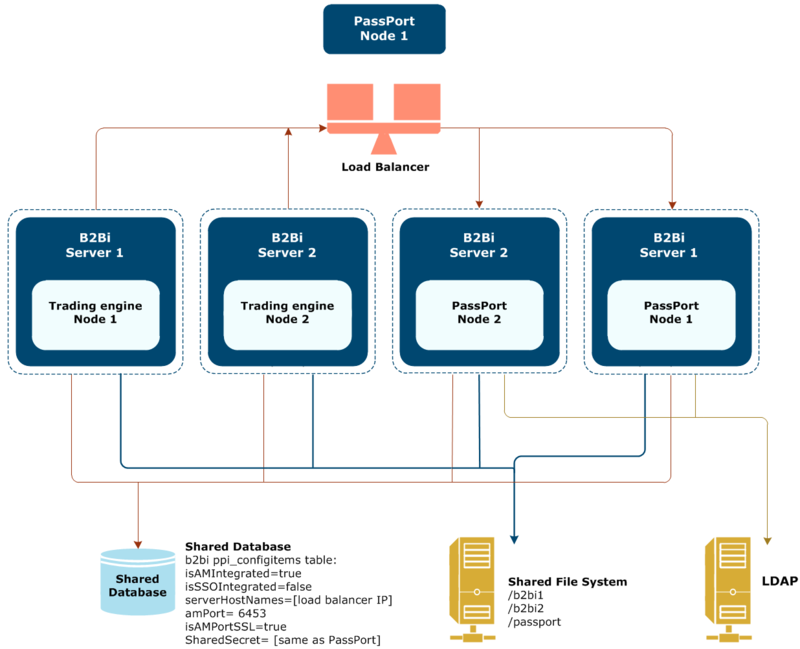 Installing B2Bi and PassPort on separate clusters offers more redundancy, and provides additional load balancing between B2Bi nodes and the PassPort cluster. This architecture is more costly, more complex, and introduces a little additional network latency on initial login. This setup is appropriate when more redundancy is required, and when other components (Sentinel, CFT, etc) are sharing the central PassPort cluster. The same servers can often be used for Sentinel or other governance components.